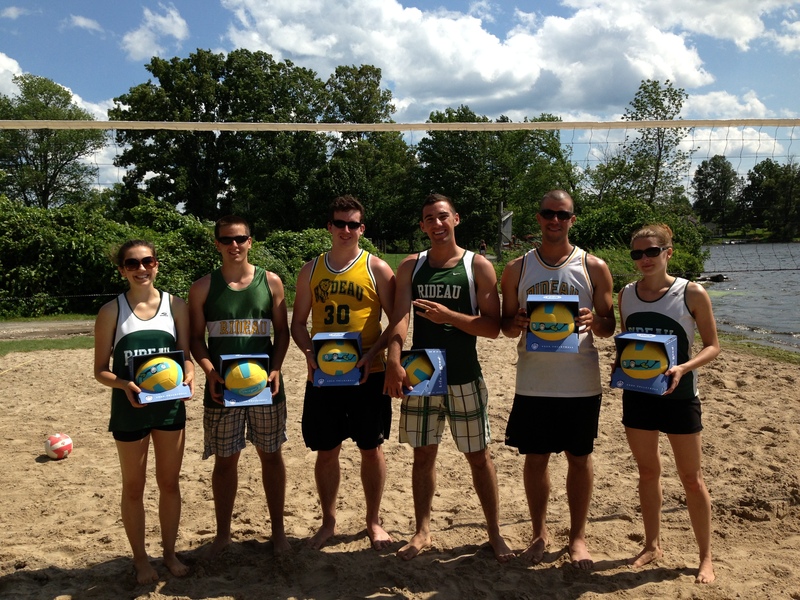 Lions Beach Park was the scene of Westport’s first ever Beach Volleyball event on Saturday July 20th. 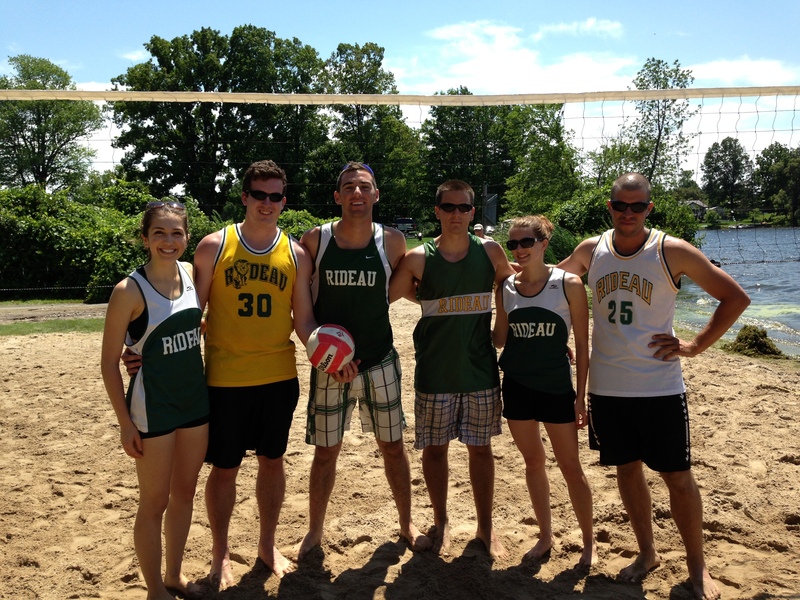 Five beach volleyball teams suited up on Saturday putting on a fantastic display of athleticism and sportsmanship with lots of fun had by all. 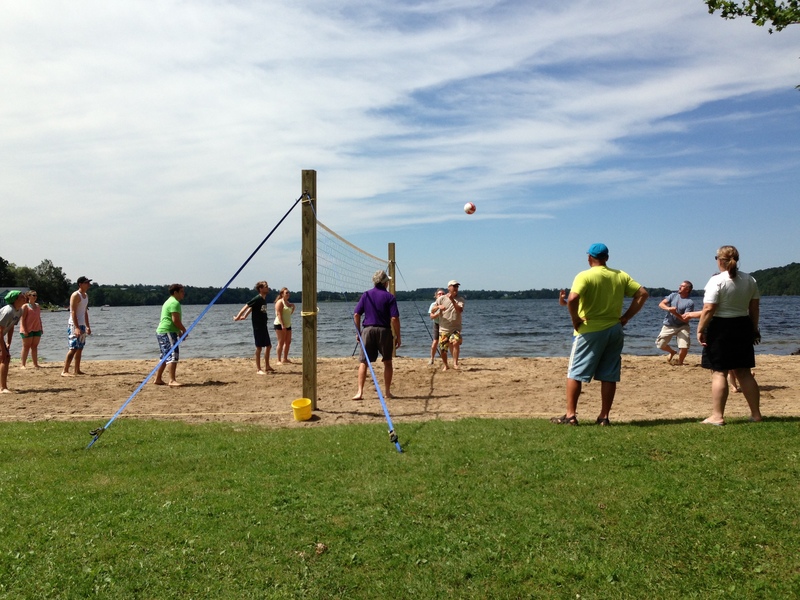 The Westport Lions supported by a community minded group of sponsors built a professional quality beach volleyball court directly on the shore of Sand Lake in Lions Beach Park. 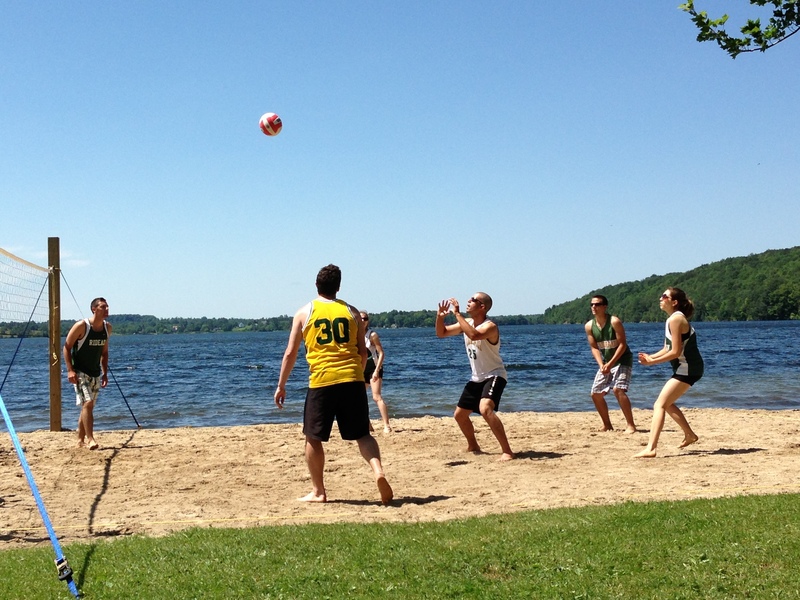 The Westport Lions are now pleased to offer Westport and the Rideau Lakes communities a beach volleyball court for the enjoyment of all ages. The construction was completed Thursday afternoon last week and Thursday night a group of young people were playing a game on the court. It definitely appears that there is community interest in this type of sports facility. Thanks to all the teams and participants that made this first ever event a huge success: Camp Iawah, Jakes Team, Canadian Super Heroes, Hartless Jenneration and Rideau Alumni. 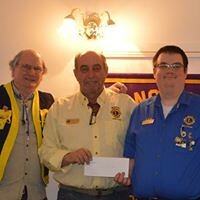 Fun was the focus of this event and it was very evident that every player contributed to the enjoyment of participants and spectators. The Rideau Alumni team lost to Hartless Jenneration in the quarter final game and moved to the semi finals where they defeated Camp Iawah. 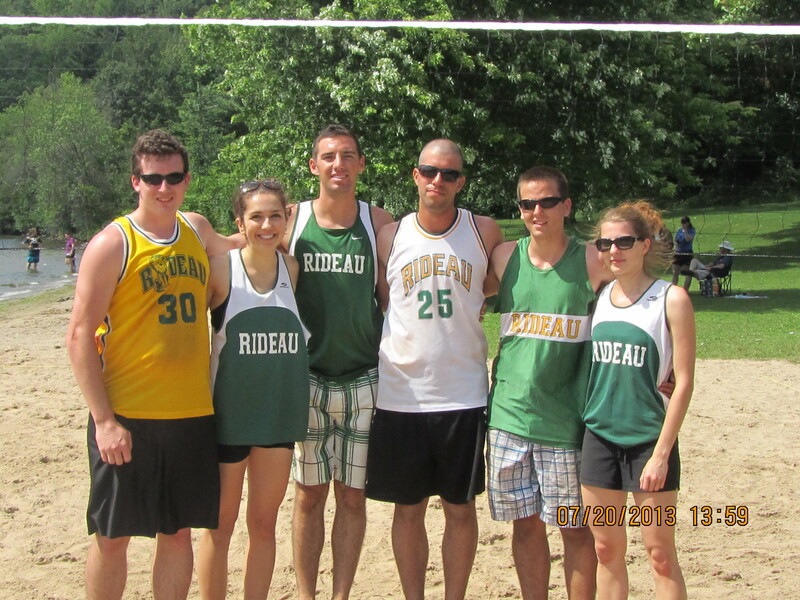 Hartless Jenneration and Rideau Alumni played two very close and exciting matches in the final. 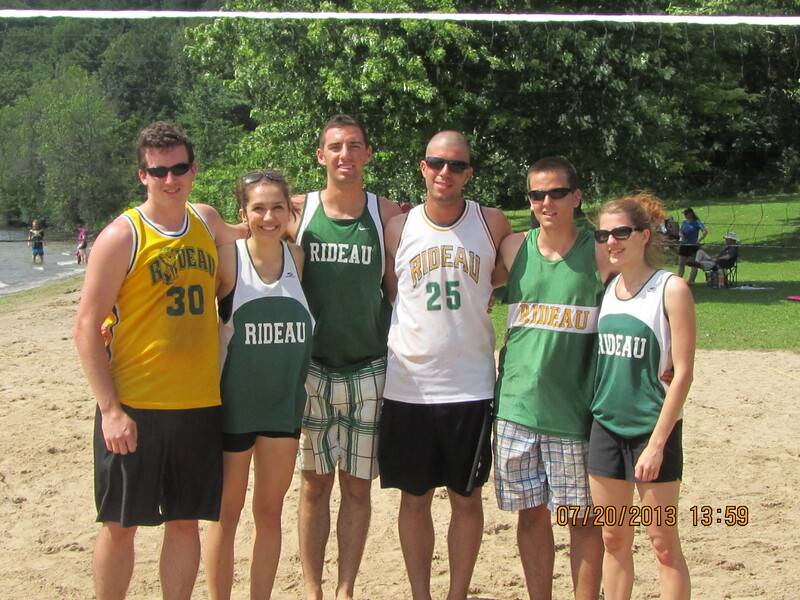 Rideau Alumni emerged as the champion, congratulations to Louise Harvey, Michael Popma, Michael O’Meara (team captain), Logan Morris, Craig Eamon and Amanda Hewitt. The tournament and construction of the court was made possible by the generous support of our sponsors. 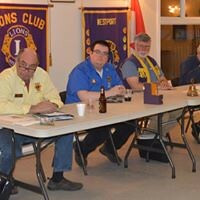 Thanks to Charles Lapointe Excavation and Haulage, Jim and Linda Myers for the sand, C/W Roofing, Dwain Smith Backhoe Services, Rideau Insurance, Molson Brewery, Jake By The Lake, Cottage Coffee House, Volleyball Canada and Westport Lions Club. 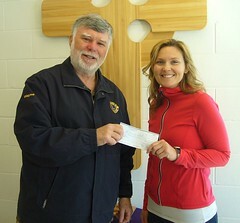 Also a very special thanks to Chris Hartley, teacher and volleyball coach at Rideau High School. 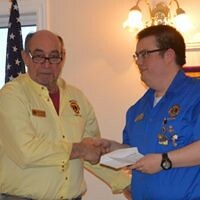 He worked with the Lions Team every step along the path to make the court and tournament a reality. 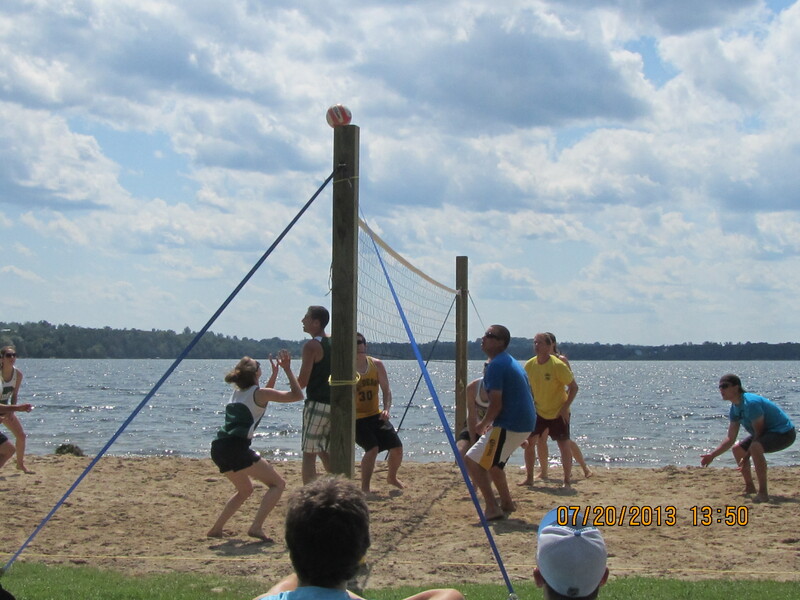 The excitement generated from this years tournament makes us think about an 8 plus team tournament next year on 2 beach courts. 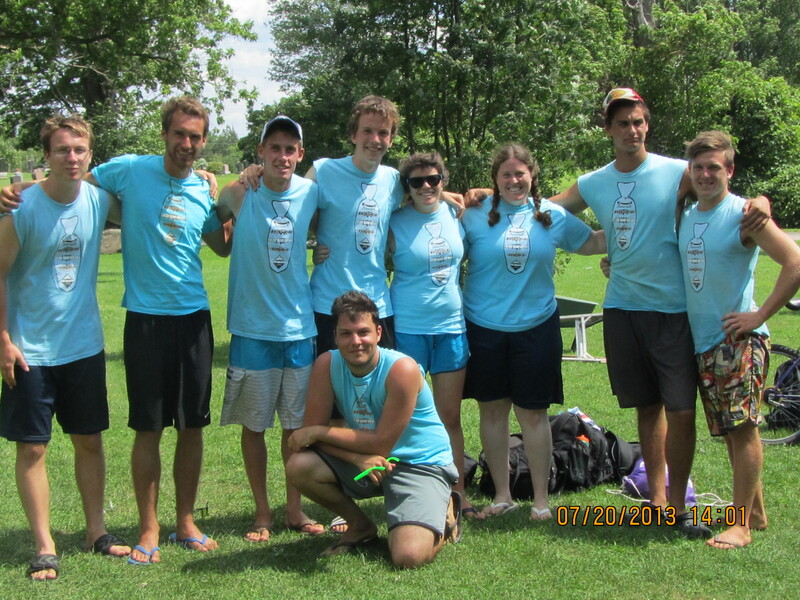 The players from this years tournament will play pick-up games every Tuesday starting at 6:00 pm. 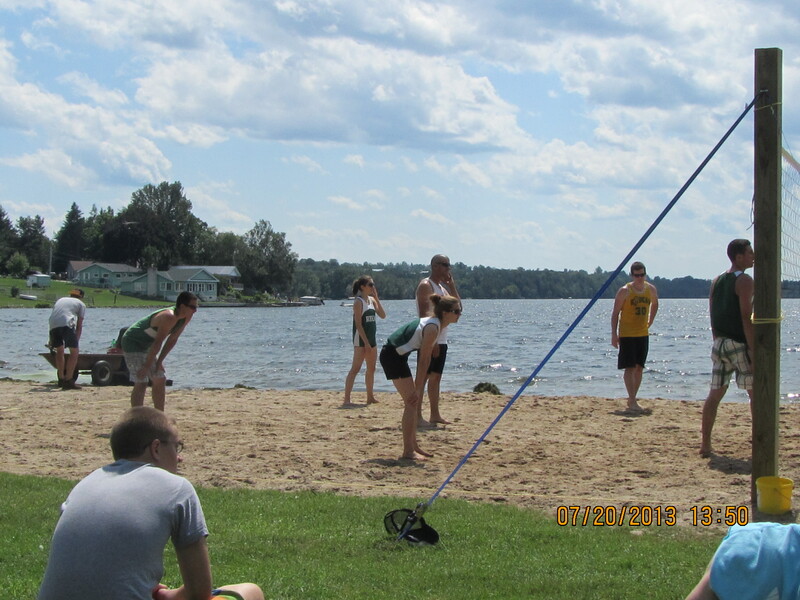 Anyone interested in playing some beach volleyball are welcome. 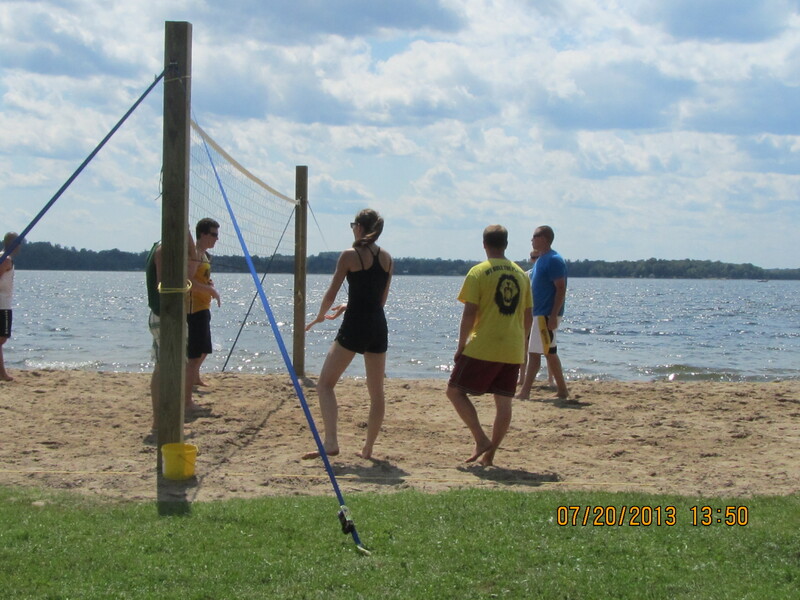 Please see Liam at the Lions Beach to reserve court time so the net can be installed for your game.